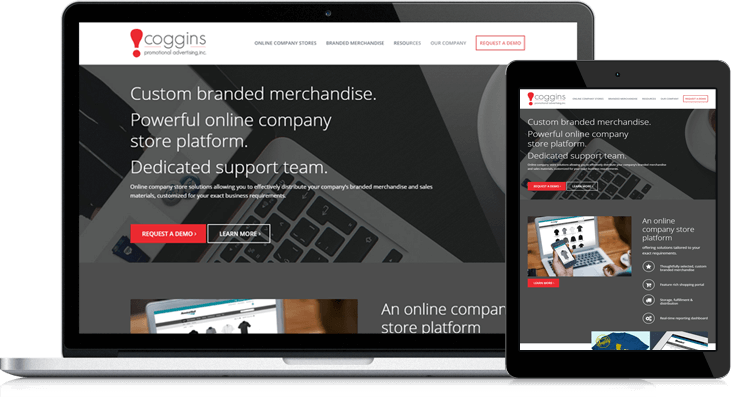 Coggins stands high above its competitors by offering branded merchandise – and an entire online company stores solution. The existing website, however, didn’t capitalize on that fact. It instead made the company appear to be a small, out-of-date, local business that was just another branded merchandise option.